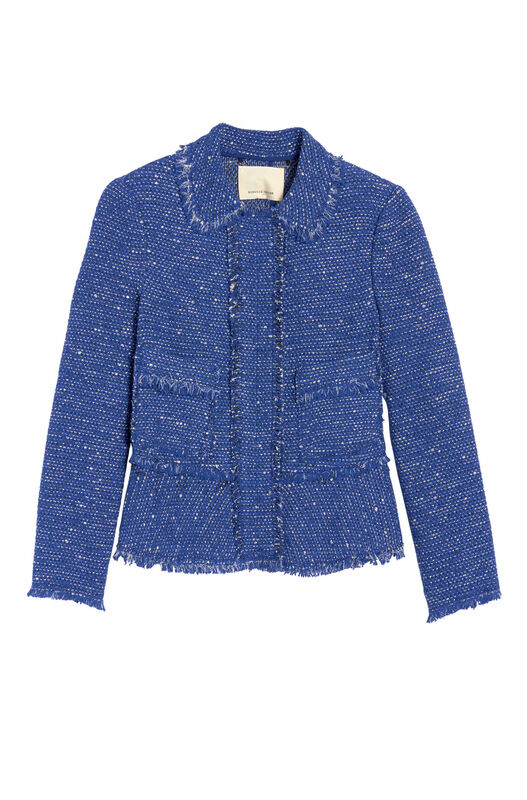 Blue sparkle tweed ruffle jacket featuring a concealed snap front with split collar, patch pockets, ruffle hem and frayed finish throughout with a hint of sparkle. 62% cotton, 14% acrylic, 13% polyester, 7% acetate, 3% other fiber, 1% elastane, lining: 100% polyester. By Rebecca Taylor. 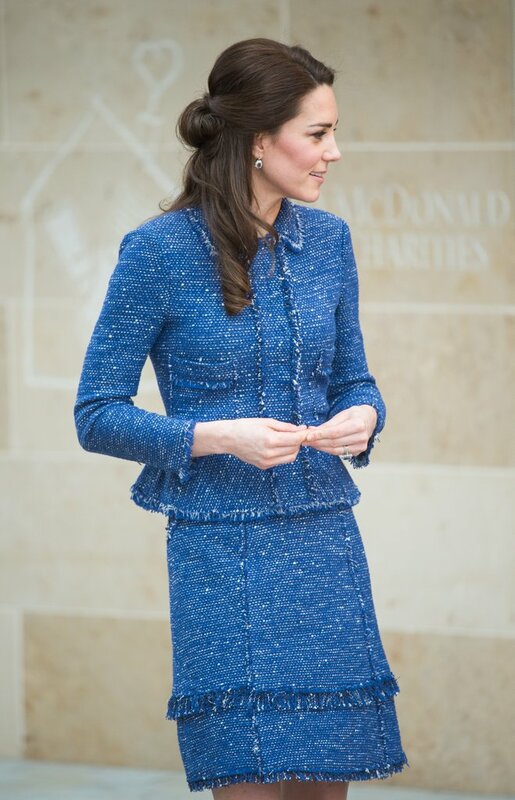 This suit gives a classic look favoured by the Duchess. 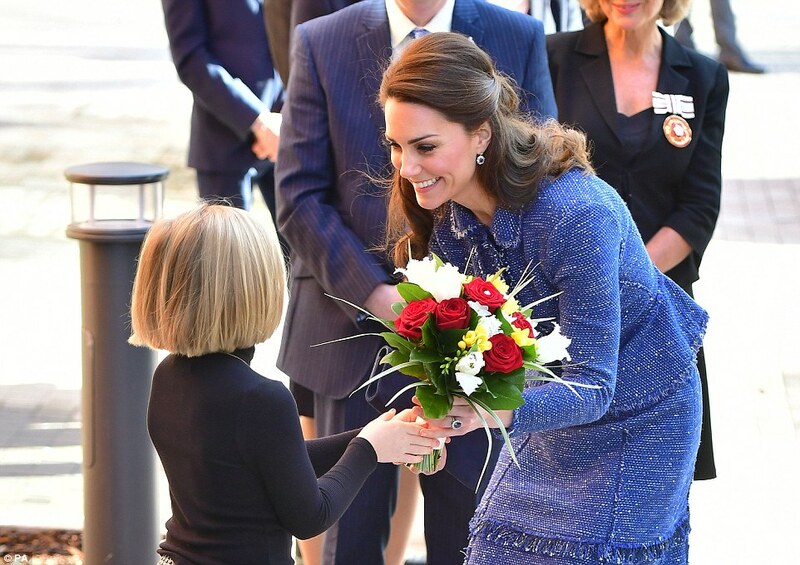 1- Kate wore the suit on 28th February 2017 when visiting the Ronald McDonald House in London. Ivory, crepe full skirt and jacket with wave ruffle panel running front and back and up the closure of the jacket. The jacket has rounded padded shoulders and silk lining. It is by Alexander McQueen. 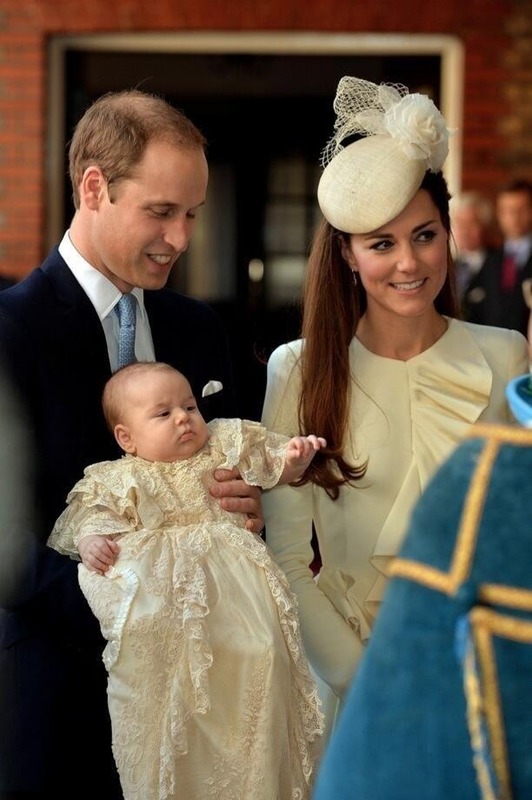 1- The Duchess of Cambridge wore this suit on 23rd October 2013 for the christening of her son Prince George at St James’s Palace in London. 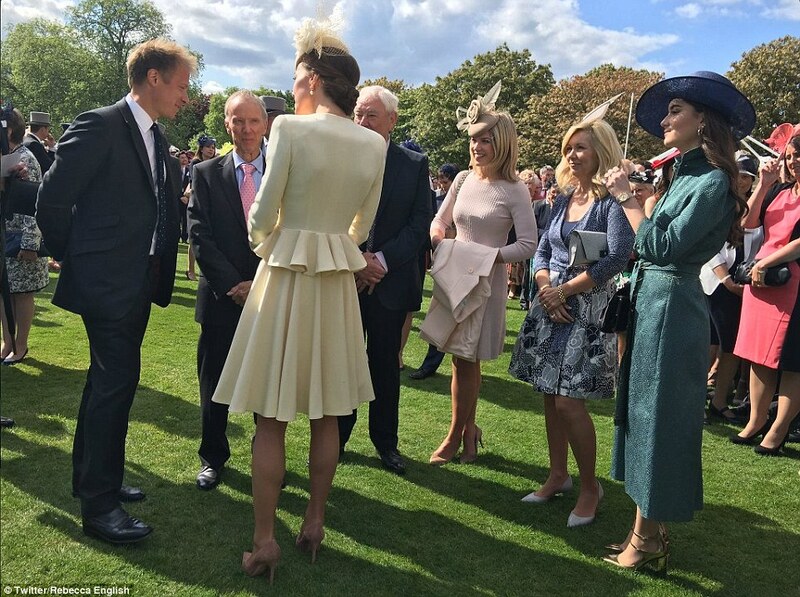 2- The suit is worn again on 24th May 2016 at the Garden Party at Buckingham Palace in London. White ruffled “Gretna” blouse with blue and gold diamonds print, tucks at the front and long sleeves By the Australian brand RM Williams. 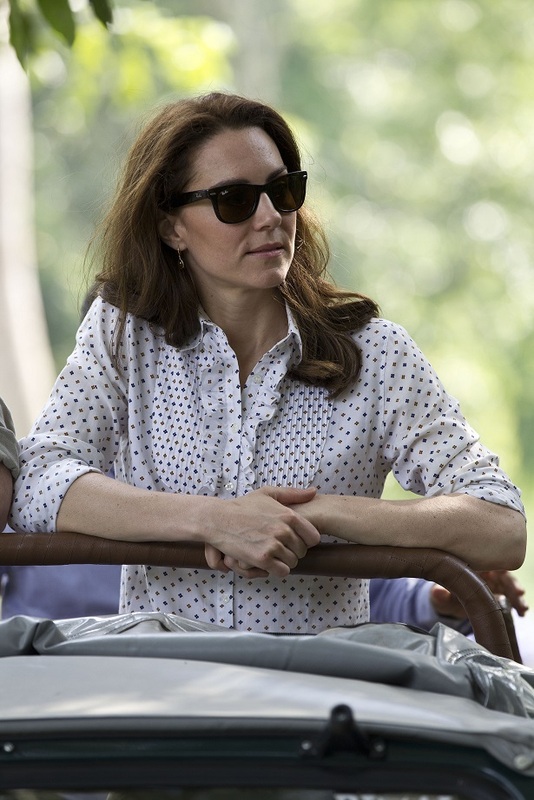 Nice shirt with feminine details. 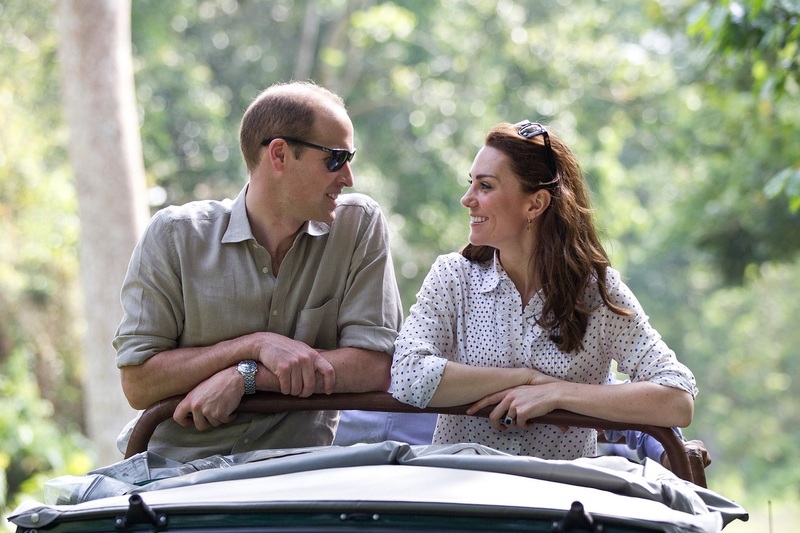 1- Kate wore it on 13th April 2016 on a safari at Kaziranga National Park in Assam, India.